Restaurant City Halloween Competition Winners Cook Up Recipes to Die For! Just in time for Halloween, Restaurant City chefs have been deviously cooking up ghoulish gourmet creations for the Halloween Boo-Licious Cook Off competition! Players were challenged to create an original and frighteningly delicious food or drink recipe perfect for Halloween for a chance to win 500 Playfish Cash and their spooky concoctions to be featured in Restaurant City. Not only did the creativity and talent behind these devilishly delicious recipes amaze us, the artistic and culinary skills were beyond impressive as well! We would like to extend our thanks to all the boys and ghouls who participated in the competition – Thank you! And now, for the moment you’ve been waiting for…the winners! Check out the Restaurant City Blog for more information on the Halloween Boo-Licious Cook Off competition, as well as details from the winners around what inspired them to create their winning recipes and what they’ll do with their new found riches! In light of recent reports that certain Facebook games and apps have provided third party organizations with personal information, all members of the Playfish community can be assured of a secure game playing environment and a continued commitment to player privacy and respect. Maintaining the privacy and security of the millions of game players within our worldwide community is of utmost importance to Playfish. As a consistent corporate practice, Playfish complies with Facebook data policies and does not release any private information to third party organizations without the express consent and knowledge of its players. 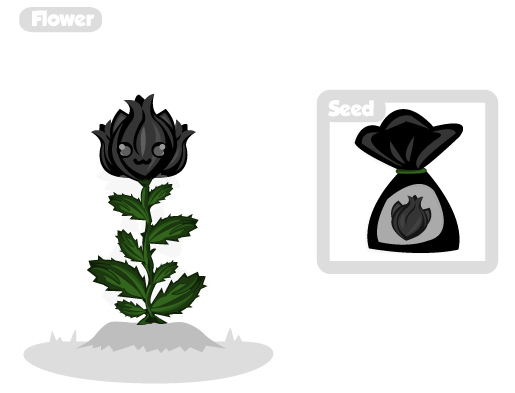 A little while ago we asked players to design a spooky vegetable, flower or tree to go into Pet Society just in time for Halloween. The winner of each category would earn themselves a frighteningly large amount of Playfish Cash — 500 to be precise — as well as eternal fame as their hard work is made available for the game’s millions of players around the world to buy. So who won? Let’s hand it over to Eepette, the host of Most Haunted Pets, to find out! The camera settles on a patch of potatoes. Time is set to fast forward, but nothing happens. Suddenly the camera spins wildly and a carrot flies past. The footage is played back in slow motion. On the second pass, the host of the show, Eepette, is visible in the side of the frame throwing the carrot. Eepette runs enthusiastically out of sight. Suddenly, loud knocking sounds can be heard. The camera whirls around to focus on a large shimmering gray tree. The footage is played three times for good measure, each time slower than the last. Three Moody Ghost Vegetables can be clearly seen in a distant part of the vegetable patch, giggling, sobbing and growling in equal parts. The camera now focuses on the knocking sound, while the camera operator mutters shrilly into the mic that he’s absolutely terrified. Encouraged on by the rest of the crew he starts to approach the sound. It seems to be emitting from behind the tree. Terrified, the crew pace around the tree to find Eepette knocking a piece of wood on the tree’s trunk. She drops the piece of wood when she sees them approach. The half-speed replay shows Eepette startled and dropping the piece of wood in slow motion. Next, the crew paces over to a flowerbed across the garden from the tree. By this point Eepette seems to be running out of ideas. “Wooooo, I’m the Green Garden Ghost!,” as she wafts a leaf in front of the camera. The crew is becoming visibly frustrated and embarrassed. Eepette stares at the leaf still in her hands for a few moments then appears to lose interest and flings it into the flowerbed. As the crew starts to return to the Most Haunted Pets van, a single black rose spits out the leaf and smiles that chesire-cat smile. Er, thanks Eepette. 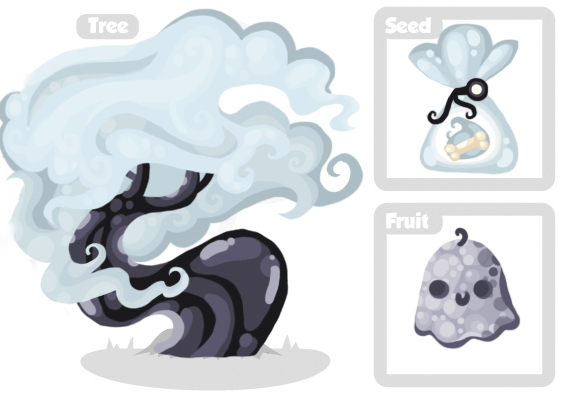 Anyway moving swiftly on, congratulations to our winners, MissGlitter who designed the spooky Spirits Tree, CarlosEP creator of the devilish Black Cat Rose, and Danzefly the evil mastermind behind the Moody Ghost Vegetables. 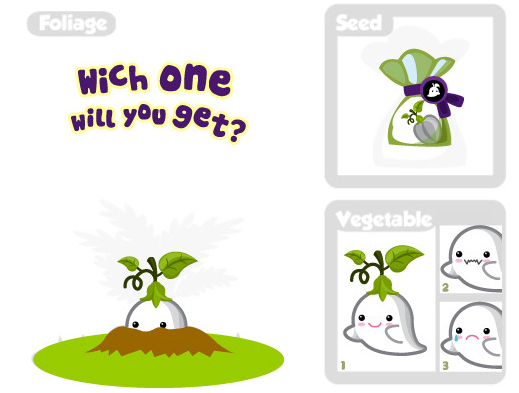 Each of our ghoulish winners have won 500 Playfish Cash, as well as their designs featured in Pet Society! We were truly bowled over by the sheer talent on display during this competition. We only wish we had time to put ALL of your ideas in the game. Really amazing!See you next time and have a spooktacular Halloween! (Hey it’s Halloween. Bad puns are allowed at Halloween). Madden NFL Superstars, the NEW Facebook game from EA SPORTS and Playfish! What do you get when you combine the two most addictive sports gaming experiences: Fantasy Football and card collecting? Madden NFL Superstars! This is your chance to create your own franchise, draft real NFL players, even build a stadium and attract fans. Welcome, Stephen. Can you tell us a little bit about yourself and your role at Playfish? Are you an avid football fan? How did your love for football help you succeed in developing Madden NFL Superstars? Go Titans!! I am a die hard Titans fan and avid fantasy football player. I want Madden NFL Superstars to be as relevant as possible to NFL fans so they can get involved in the sport, whether they choose Xbox, PS3, or, in this case, Facebook. We do a lot of fantasy football leagues here at EA and Playfish, so there’s a lot of passion about the NFL across the team. The Madden team’s knowledge of football has been instrumental in our success developing the game. Can you give us an overview of Madden NFL Superstars? Madden NFL Superstars is a team management social game where players compete against their friends on Facebook to build the ultimate team of NFL players. Players build their own stadium and fill it with fans to compete against all 32 real NFL teams and a chance to play in the Super Bowl. What was the most challenging aspect of bringing Madden NFL Superstars to life? What are some of the notable features in the game? With a brand like Madden, you always want to live up to player expectations with a very polished and fully featured game. I think we have done that. We are continually adding more features to flesh out the game and enhance the player experience. We recently added Achievements, Players of the Week, NFL Banners, and Bonus Cards. Something players can look forward to soon is Card Collection. Remember when you were a kid and you collected baseball cards? Our goal is to translate that experience into the game and reward players for building a collection of all the players from one team, all of the players at specific positions, or all of the platinum players and so on. The rewards for this will range from unlocking NFL team logos to a new type of card called an “Elite Card,” which will be a permanent card with a team bonus. So, this is the first time that the Madden NFL franchise has been introduced to the social gaming space. How well does Madden translate into a social game? What aspects of Madden lend themselves to a social gaming setting? Madden has always been a very social game, from college kids battling it out in dorm rooms to young professionals hanging out on the weekends. People want the chance to be their favorite team or favorite player while competing against their friends. Moving that experience into the social gaming space seemed like a natural step. Everyone who loves Madden on their Xbox or PS3 will also really enjoy Madden NFL Superstars. Do you think people who play Fantasy Football will like Madden NFL Superstars? Why? Definitely! The goal of fantasy is to build a team that will dominate your friend’s team. At its heart, Madden NFL Superstars is very similar. Everyday players have the opportunity to play their friends and talk smack. The better your team, the more likely you are to beat all your friends and top the leader board. What is your team’s name and how are you doing in the season so far? In support of my Titans I named my team “CJ 4 MVP,” despite the rough start Chris Johnson has had. I am doing well so far. I just made it all the way to the Super Bowl in Pro League and now I’m battling my way through Season 21! I was lucky to get Dwight Freeney, Marques Colston, and Matt Schaub in my first Ultimate pack. Hopefully I can get Chris Johnson in the next one! Now, go out there and be the best coach in the NFL. Play Madden NFL Superstars today!